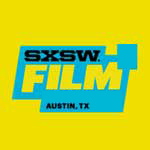 I met with Australian actress Ashleigh Cummings, who plays the lead in Ben Young’s harrowing new abduction thriller, Hounds of Love, on Sunday, March 12, 2017, at SXSW, as part of a press roundtable with four other journalists, to discuss the movie and her part in its making. In the movie, she plays Vicki, a teenage girl whose parents have separated, who makes a near-fatal mistake one night when she accepts an offering of marijuana from a couple in a car. The man and the woman have more on their minds than a drug sale, however, and soon Vicki is chained up and fighting for her life. Here is a condensed digest of the conversation. I was only able to ask one question, myself – which I will mark in the text ­– but all the other questions were ones I was going to ask, anyway, or like other ones I didn’t get to ask. [Questioned Asked by Other Film Critic #1]: When you’re dealing with something that is this heavy, and you’re trying to get in character for it, how do you prepare yourself for a role like that? And also, how to come down in between scenes and still stay in that mental state that you’ve got to flip on and off? Ashleigh Cummings: Great question. First of all, preparing for it is definitely about going inside the psychology of it and drawing from real events, because I wanted to honor all the victims that have been and will be, so I read a lot of books of true accounts – you know, Jaycee Dugard and Natascha Kampusch – and watched documentaries about those initial, acute first days of the kidnapping. And then, some other creative things like Room, with Brie Larson, although that’s a little bit different, because that’s over a longer period of time. So that was how I got into the headspace of the character. Then I also crafted this kind of table of where I was emotionally at any given point and had different stimuli to trigger that: images, music. And then, on set, oftentimes I would have to stay in that emotional space, because we were shooting for long hours and you would always sort of be in the shot, in the way that they shot, which was really incredible, with long panning shots that covered much of the house, and so on. But everyone was extraordinarily respectful and gave me the space that I needed…and then we’d break for lunch, and Steve Curry, who plays John [the male abductor], is the funniest guy and the nicest guy you’ll ever meet. So he’d crack a joke, and you’d have an hour respite from the pain, and then you’d get back into it. And then in terms of separating from it, afterwards, it was very challenging, because it happens to other people. Oftentimes, you can go, “This is a fictional story, so it’s OK, it’s OK.” And though the story and these characters are fictional, it’s very much rooted in the realities that some people face. And just the notion of the pains that people have to go through is heartbreaking, and I would often sit on the beach – I’d walk to the beach everyday – I’d sit there or I’d go for a swim, and kind of reflect on it. I remember after one day of shooting, going to the beach and sitting there and feeling so pained by what some people have to go through and the experiences and the horrors they face, and that we live in a world saturated with so many awful situations. And I was like, “How do I live my life? How can I continue creating films when I want to directly impact and change people’s lives. I want to go and, with my hands, save people from these situations, and I want to be there with them, emotionally, to honor them, so that they know they’re not alone. But I realize that that would be furthering the destruction and the pain, and that the only thing we can do is create, in spite of it. And so, that was a very conscious thing for me to know that I have to build. And it won’t rectify the situation – the pain will always be there, it doesn’t remedy it – but that’s the only way I can kind of make the world better. [Questioned Asked by Other Film Critic #2]: There’s a fine balance between playing the victim and being and empowered character, which I thought you did very well. How much of that character was written on paper and how much did you feel that you leant to that role. This goes for the other players, like Steve Curry. How much of that was on paper and how much was shaped on set? AC: I think that when I initially read the script, she was very strong, for the most part, though of course her emotions came into place, in various kinds of shapes and sizes, throughout her journey. She always fought; she was always calculating and assessing the situation. And then when we got on set, an interesting thing happened where, after…I’m not sure how much I can give away, but…after a significant event, everything is lost for her, and [director] Ben and I decided that she was allowed to be a human; she was allowed to give up, and that’s OK. So often we see heroes in films and we admire them, because they’re so strong all the way through, and that is amazing, but we’re also humans, and this kind of depression and desperation is part of the human condition and experience. So yeah, that very much happened on set. There was a scene we did where I ended up just attaching the chains to my own wrists, which wasn’t written, initially. So that kind of created an interesting topography for us to play with, and then come back up at the end with her strength. C: I want to watch everything in slow motion! HtN: Those frozen moments; the pregnant pause as the predator watches the prey. So this film walks a thin line – purposefully, I think – between respectful treatment of the subject matter and almost exploitation of it. I’m wondering…it’s not an exploitation film, but it’s getting close to trafficking in some of that…did you discuss, with the director, ways to walk that line, both in your performance and in the design of the film? AC: Very early on, one of my first questions, in the audition, was in what way was he going to execute these scenes? And one of the reasons that I signed on, that I was so convinced by him, was that he said, “I’m not interested in the violence, I’m not interested in the gratuitous kind of elements of horror that we often do see. This story is very grounded in reality, and what I want to explore is the psychology behind these people.” And that was his focus. And we do see elements of the horror, but the violence is kind of implied, and in some ways that sometimes is worse, because you can imagine it and it puts you in a very strange headspace. [Questioned Asked by Other Film Critic #3]: Just to comment on a previous question, the strength with which you played her was absolutely beautiful. [Questioned Continued by Other Film Critic #3]: It was very interesting to watch to kind of see her go up and down, and one connects to it in a way that I haven’t been able to in a film before like that, where you feel like you are rooting for her but then see where you would be strong, saying “I would do it this way!” It was just very beautifully played, and I just wanted to comment on it. But because it was such an intense story, and with the long tracking shots and everything, you were with Emma [Emma Booth, the female abductor] and Stephen a lot, just the three of you, and there was a very interesting relationship between all of you. How was that able to balance on set? I assume you guys got close, because you said how he cracked jokes, but was that a benefit or a hindrance in building that kind of relationship? Did that allow you, because you were so close, to go somewhere that you may not have been comfortable going with other actors? AC: I think both Stephen and Emma are very aware people, and so they were able to kind of exist in the set and bring to it what it needed in that given moment, and that’s something I admire very much. You know, they knew when it was time to focus, and to be in the headspace of what was going on, and they knew when to respect that. But then they knew when we needed a laugh. And that was kind of the way I got through it, was through our friendship, and that extends to the whole cast and crew; it wasn’t just Emma and Stephen. It was Ben, it was the cinematographer, it was the make-up team, everyone. [Comment by Other Film Critic #3]: There was a trust that was built. AC: And it was there from the very beginning. One of the things, when I went in to audition with Ben, I was asking him about filming, and who’s working on it and everything, and how did you choose them, and he said, “My first priority is that they’re good humans, and then I look at their skill sets.” And I was like, “Sign me up!”…(laughs)…because I just love that philosophy, and it created this trust on set that was very important to the subject matter and this way that we were telling it. We had very conscious conversations at the beginning, everyone said, “Tell me your boundaries.” And everyone was just very supportive, emotionally, physically. As clichéd as it sounds, it was a family. I think that contributes to much of the success of the film. [Questioned Asked by Other Film Critic #4]: So following this film, what are you doing next? Are you going in a completely other direction? AC: Well … I will take whatever comes. AC: No, I do talk to my managers about what kind of projects I want to work on, because I do exist in this world, and a lot of my actions and work I want to come at from a moral lens, which is probably sometimes challenging for my managers…(laughs)…because I’m like, “Is this violence necessary? Do I want to be a part of that project? Is that a message I want to share?” And I think we have responsibilities as artists to do that, because we have a very powerful voice in changing our society and influencing it. And I’ve just moved to L.A., so I’m just kind of exploring the industry here and exploring a new country, and there a lot of other things I want to do. I’m very passionate about human rights and the environment. I can’t not work in this industry. I love it and I love acting, but there are a million other things I want to do. All Film Critics: Thank you!